Who in Your Life Needs a Blessing? 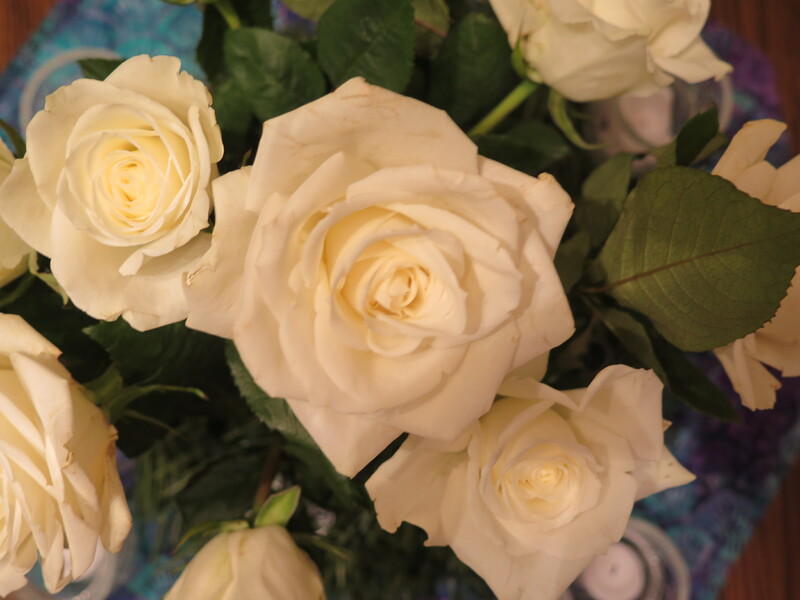 I was at the service counter at Trader Joe’s when, out of the blue, one of the staff handed me a bouquet of white roses saying it was a “Pay it forward.” That unexpected gift was a blessing. The giver had no idea how such a simple gift would touch me. I had been missing a dear friend who died months earlier. The gift came as a sign that God, knowing my loss, had found a way to comfort me. The gift of Blessing another is something that the church I am a part of will be starting next week. Wrapped around a study called, “Surprise the World,” every person will be encouraged to choose three people each week to bless in some way. I suspect there are as many ways to bless as there are people who need a blessing. To the troubled co-worker having a rough day with the boss, a word of encouragement can lift a spirit. Reaching out to an overwhelmed parent of a special needs child with a meal for the family – can give a much needed break. Sending a note of support to a person going through a divorce, to just let that person know that you care, can heal a broken spirit. Taking time to listen to a friend, offers encouragement in the simple act of allowing a person to be heard. Taking a lonely person out for a meal recognizes that person’s value and worth. Look around your world today – who in your life needs a blessing? And what is it that he or she needs? This entry was posted in church, Faith & Life, Love and tagged Bless a friend, Compassion, Love, Surprise the World. Bookmark the permalink.